The Monocle Man soundtrack was featured on two episodes of Nitro Game Injection. Some time has passed since the release of the Monocle Man soundtrack, so I wanted to share some of the attention it has received since then. 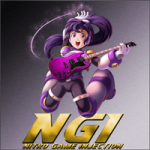 Nitro Game Injection, the rockin’ video game music radio show hosted by KyleJCrb and Larry Oji, featured tracks from Monocle Man not just once, but twice. Listen to episodes 245 and 247 to hear cuts from the album, as well as many other good tunes! Earlier this year, 8BITLA presented FREQUENCY 3.0, a chiptune music festival held at The Smell in LA, which featured several well-known artists from the genre. To kick off the first day, they had an open mic session where I had the opportunity to “DJ” a few of my own compositions, including a couple from Monocle Man. A video of the event is online, so watch the section at 22:45-33:15 to see my set! Last, but not least, multiple independent web authors have been kind enough to give the Monocle Man soundtrack some press. Game Podunk featured it on its list of “13 Completely Free Video Game Music Albums from December 2013”. 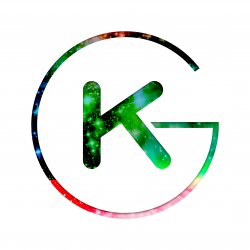 VGM blogger slamdunkgator91 reviewed the album, saying “both Kaleb and Davain did a great job”, and “it’s a nice soundtrack to listen to when you need a boost of confidence.” The soundtrack was also picked up by game music sites Seven out of Ten and KHInsider.